I don't care how much more money my son's adoptive family had than me, that did not make them "better" parents. Some twenty something odd years into this process has proven that to me, ten-fold. Them indoctrinating my child into a shell of a human being who cannot even think for himself was NOT "better", I don't care what they bought for him and continue to "buy" for him. I was of the mindset back then that them having more disposable income would make them better parents than me and that thinking is tragic. Adoption is a permanent solution to a temporary life circumstance. It was, er, interesting, I suppose, for my daughter's adoptive family to find a college-educated, professional woman as the mother of their daughter, who had epilepsy and was then in classes for the learning disabled. It took a long time, but eventually my daughter finished two years of college and graduated with honors. I don't believe her parents would have ever thought she was capable of that. Of course I knew her seizures were a real problem, but I couldn't help feel, and still do today, that it was easier for them to think of her as of low IQ because she came from an unknown background, even though the adoption agency knew she was the daughter of two journalism professionals. My career was just starting but I had good college creds; her father was a well known political columnist in the city where she was born. How much better it would have been for everyone, especially our daughter, if this information had been passed on. I am sure they would have seen her in a different light. After we met, she would out of LD classes the following year. After we reunited, her adoptive mother told me she figured I was some Polish teenager (they did have my nationality, but not the father's) and she kept asking me if I had any relatives in mental institutions. ! I would certainly be surprised to discover that my child's birth mother was a college educated professional woman. It would certainly make me wonder why her birth mother chose to give her away. B.A., so you are saying you would be surprised that your child's mother educated herself? We can't have that, now can we, and edumacated burf muver. Most mothers who lost THEIR children to adoption, B.A, would have made wonderful mothers to their own children, college degree or not. I don't see where that is anyone's business, actually, except of course adoptive parents who think they have some right to the narrative of one who lost while they gained. They have her child, not whole damn life. Thanks. Well here's the education level of my bio and adoptive family - and my husband and I (as we are currently in the adoption process). My Bio Mom - High school Education. Can not financially support herself if she lived alone (which doesn't say much - that's MOST of California). My Bio Dad - Some college. Is an Entreuprener. My Adoptive mom - When I was adopted, she was an RN. Dad did not finish college, is an enteraprenuer. 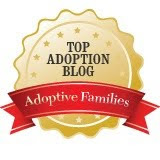 Adoptive father is partner in an international company now, and mother is a highly respected director of utilization management at a So Cal medical facility and also teaches her skills through UCSD. She now has a Master's Degree in Geriatrics. Dad never finished college. My Adoptive mom gave up a child for adoption when she was younger. At that time she had - Some high School education. Me - Some college, CPC certification, fully employed, have lived independently for several years. Also work as a published freelance author. Will continue to be a working parent. Hubby - Some college, is a Missile Tech on Submarines for the US Navy. Hopes to finish w/ a degree in Computer Engineering. Will continue to work full time. I am So blessed to see both sides of the coin. In a So many ways, by Bio mom was traumatized by the unplanned pregnancy and never really grew from there. But then I've been able to see my adoptive mom, who was in a similiar situation, and decided to grow through it. While there will always be attempts to generalize the group of Bio Parents vs Adoptive parents, each scenerio is so unique! Also, adoptive parents get the unique oppurtunity to better plan their finances before baby comes home. Bio parents often are "surprised" and then have 9 months to figure it out. As an upcoming adoptive parent, we'll have been in about 2 years before we bring kiddeo home. That gives us lots of time to plan. And the agency is really doing it's best to make sure we are educated on child care and in a lot of ways, an adoptive parent who is financially stable is more obviously equipt to parent kids. However, that doesn't mean those who aren't as financially stable are "bad parents" or "should" give up their kids. It's such a "case by case" thing. I wish people could open their hearts and see it that way. Looking at people as statistics takes all the heart out of adoption. BA: My daughter was born was 1966. I was just out of school and alone and marriage was not in the cards. Big difference. The world was a far different place. I suppose I should have added that but I assumed people would not make assumptions this happened last year. Or the year before.